How to get product attributes in email? Yes, you’ll have to override or extend the current module that handles this by creating a custom module that pre-loads the data so that it can be injected into the template. - Which would be a phtml file. I don’t have a working example of this to share, but you should find the 2 references below useful. Coincidently, I’m working on something to do with Emails and I figured whilst I’m at it, that I test the Solution that I referred to in my previous reply. And with some minor tweaks it works. Each module must have this file, which tells Magento how to locate the module. Composer reads a composer.json file in Magento’s root directory to download third-party dependencies listed in the file. Declare the component itself by adding a module.xml file in the /etc folder of your component. At a glance, I think “Amy” typo’d. Remove <?xml version="1.0"?> from the top of the registration.php. It doesn’t belong there. I submitted an edit to her post. If that doesn’t work, I’ll share my code/files in the morning. And in the admin panel, menus without icons are not active. I’ve updated my answer with a full walkthrough. Tested and works as expected on my clean install of Magento 2.3. Steps 1-3 are generic files required to build the foundation of a module. The actual magic is in Step 4-5. Good. It works when ordering. The question of how data can be obtained when a question about a product is not registered? 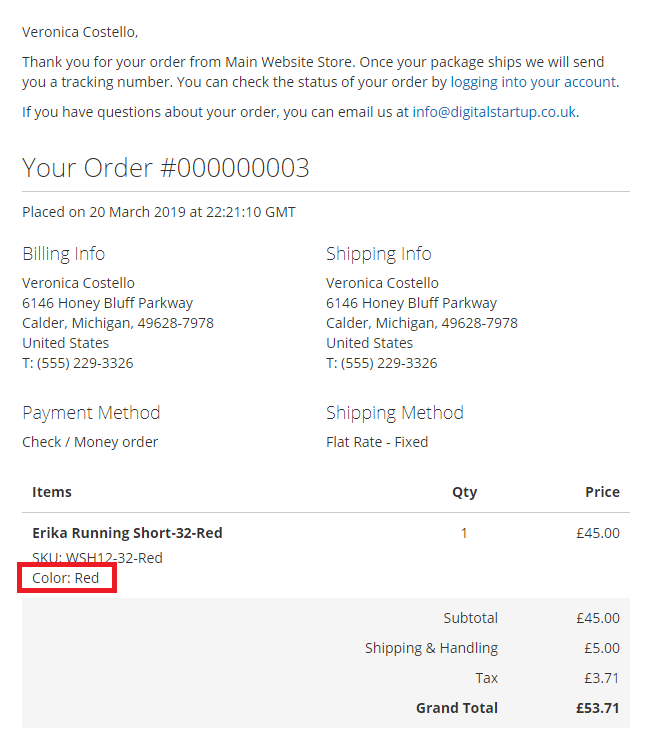 For example, on each product page there is a form with the ability to ask a question about a product before purchase - how to transfer its name and SKU to an email? There are similar extensions that hide the price and you can ask a question. Those. a form that is on every page with data that the user fills in, while the product data is sent to the administrator in the email.